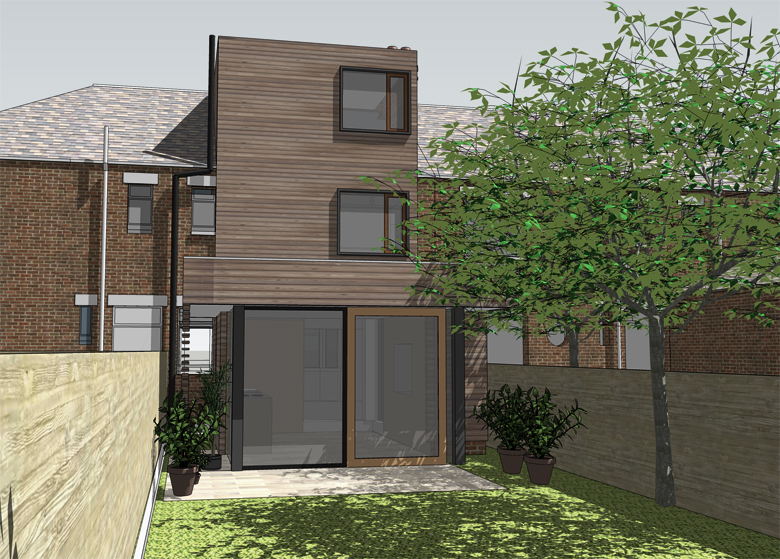 This project takes advantage of the recent extension to planning limits at ground floor level, and involves much other work to the house, but done in such a way that provides the rear of the house with a bold new facade. The size of the house dictated that, while making the house as sustainable as possible, insulation should be added externally, unifying the rear facade in timber cladding. Over time, the house should become as synonymous with the greenery that will be encouraged, as with the natural methods of construction that are intended to be used. 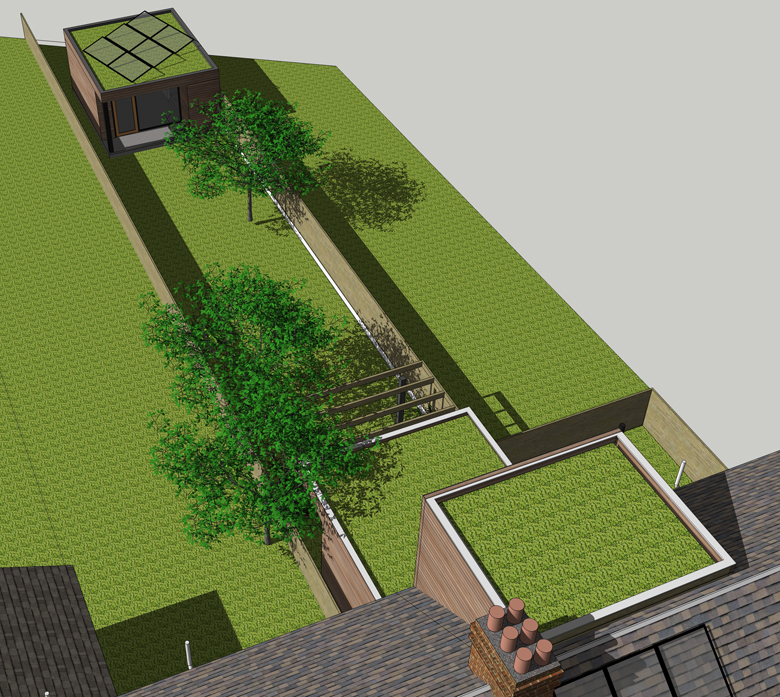 As well as maintaining good natural light levels within the house, the use of photovoltaic panels and heat recovery units will also form part of the energy-conscious design, which is current at detailed design stage.